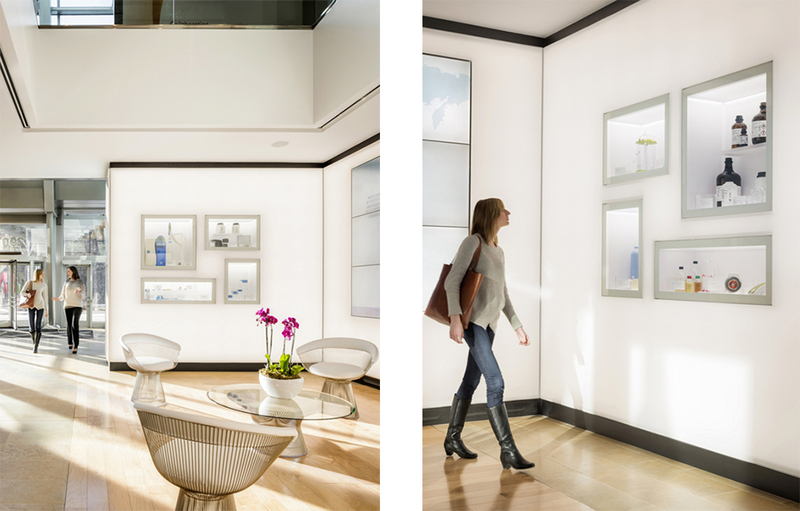 We are thrilled to announce that our design of the Millipore lobby renovation in Boston has received an Award of Merit from the Illuminating Engineering Society (IES). The award recognizes projects for their ingenuity and originality, as well as their contributions to the lighting design industry. 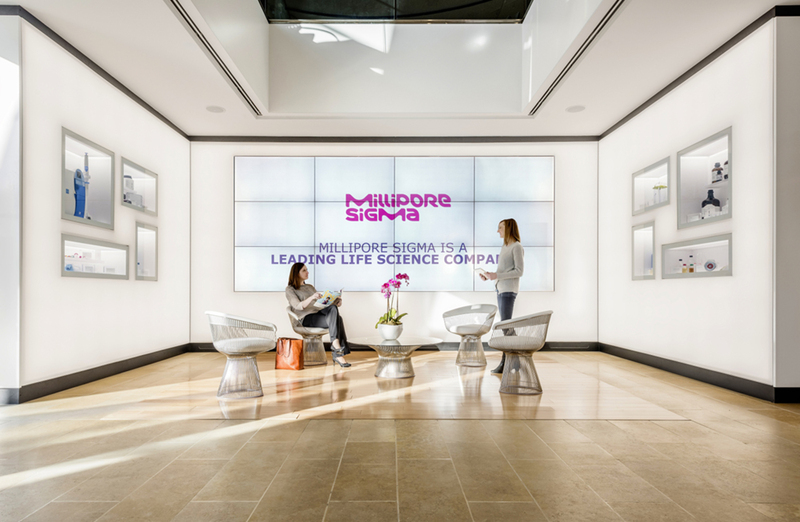 More about the Millipore lobby renovation. 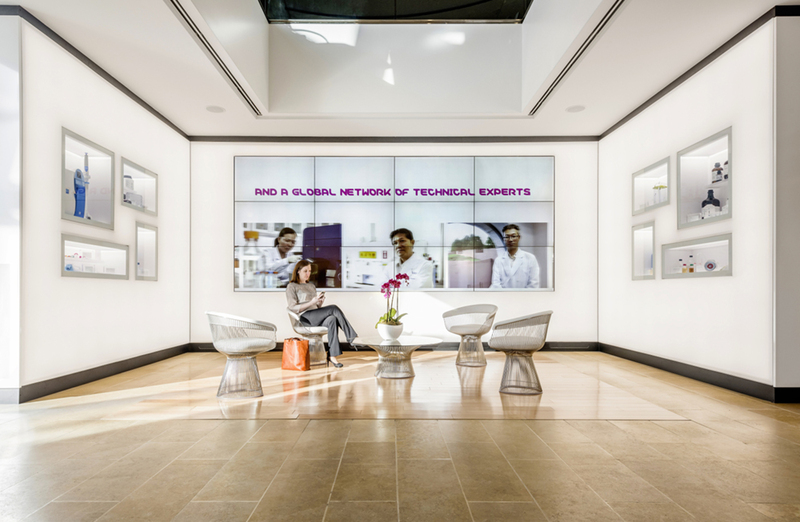 As a part of a branding and image transformation, this international life-science client sought to create a feature lobby gallery to welcome, engage, and educate visitors who enter the headquarters. 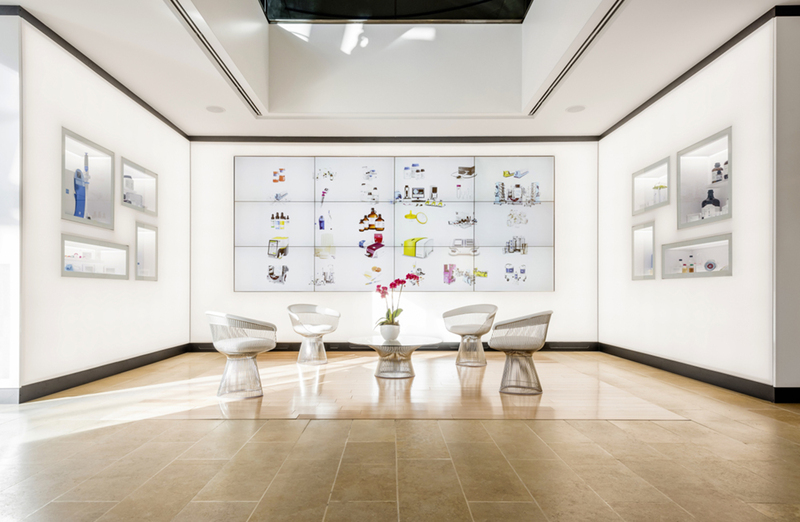 The design has become the basis for six more of the company’s lobbies — expanding and empowering the client’s fresh new brand. The glowing, backlit walls of the company’s renovated space — carefully tuned to be in balance with the sun-filled lobby volume — become an immersive experience of technology and light, attracting attention and pulling visitors into a waiting area where lighting cues from the retail and museum industries help tell a story of innovation. A stretched translucent membrane — backlit with dimmable LED panels — creates the walls of the display space, with meticulously detailed edge-lit vitrines floating within showcasing the company’s latest innovations. Large-format LED screens complete the visual parti and display video imagery that reinforces the company’s new brand of storytelling. The design charge of creating a perfectly even, luminous backdrop for the product displays while working around the hidden structural elements complicated the lighting approach. 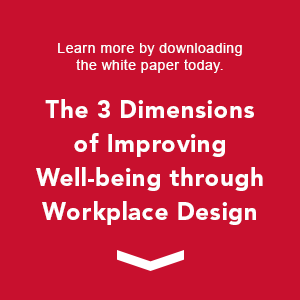 Infilling the gaps between cases with dimmable LED strips and painstakingly tuning the color temperatures and outputs of the different products made the challenging situation a comfortable, glare-free, glowing canvas to set off the didactic displays. Each display cleverly employs a series of efficient and easy-to-maintain edge-lighting elements, which highlight the objects inside. 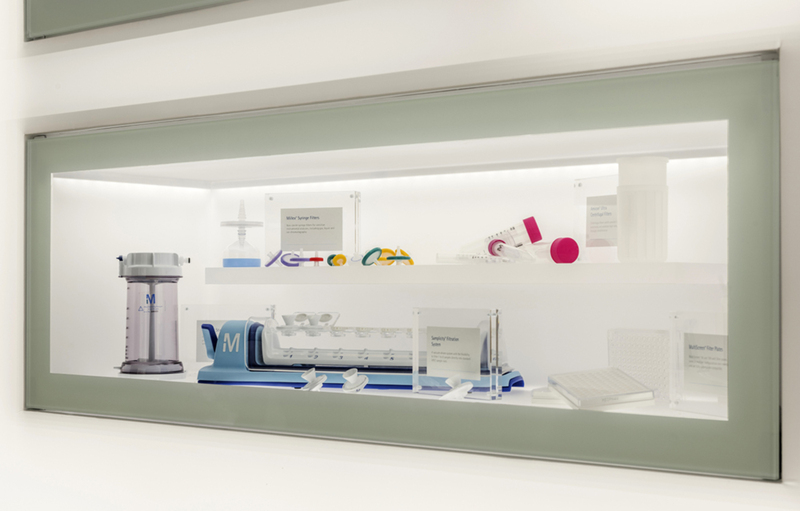 Hidden door hardware allows the featured products to be frequently rotated, so a lighting solution that could accommodate the variety of product shapes, sizes, and materials was critical. A fully-coordinated lighting control system utilizing dimming modules and timeclock functionality ensures the already low-wattage LED sources operate using as little energy as possible. Key lighting equipment is located in easy-to-access cavities for long-term maintenance.